Judy McKee serves as the Vice President of Human Resources where her primary areas of responsibility include employee orientations, advisory consultations, personnel policies and procedures, employee evaluation procedures, health care, wellness and benefits planning, 401k plan oversight, personnel management, employee relations, recognition programs, and business ethics. Ms. McKee graduated from Southeastern Louisiana University with a Bachelor of Arts and Masters of Education. 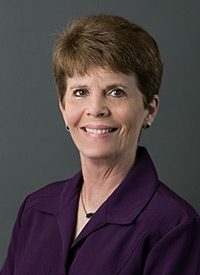 Since joining Stirling Properties in 1976, her role has developed from positions in administration, accounting, property management, and marketing to her current position as Vice President of Human Resources. She is a member of the National Society for Human Resource Management (SHRM) and a charter member of the Northshore Society for Human Resource Management (NSHRM), where she has served as a board member in several areas. She was awarded HR Professional of the Year in 2008. She is also a member of the SLU Alumni and Phi Mu Alumna Associations.